Speckle Park steer | Loch Lomond Livestock Ltd. This was our top steer this year. 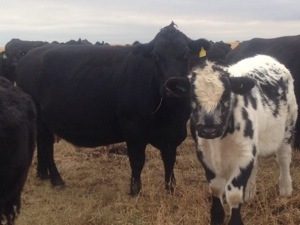 He is out of an 8 year old angus x cow ( to his left) and our speckle park bull. He has been a stand out all year.